Meet your neighbor, Thomas (Tom) Pflasterer of Lomax. Tom is the son of Robert "Bob" and Deborah "Deb" Pfasterer of Lomax. He was raised in Galesburg from 1990 to 2002 and has lived in Lomax since 2002. He has one brother and three sisters. Ryan Pflasterer-16 , Desiree-9, Heather-8 and Olivia-3 all of Lomax. Tom graduated from Illini West High School in 2008 and from Carl Sandburg College in 2009 with his C.N.A. (Certified Nursing Assistant). 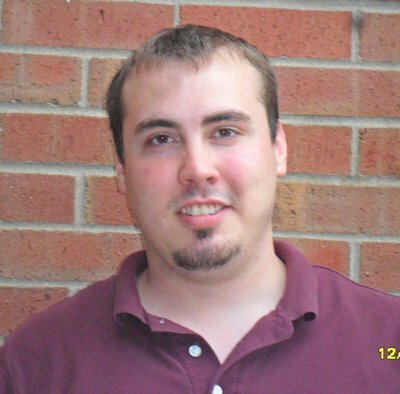 He has worked at the La Harpe Davier Health Care Center in La Harpe for the last 3 years and in the past has worked at Catfish Bend Casino in Burlington, Iowa, Professional Swine Management in Carthage, and at the Hancock County Nursing Home in Carthage. Tom is a volunteer for the Lomax Fire Department and the Loamx Ambulance Service. He married his wife Regan, who was originally from Carthage, on August 5th, a year and a half ago. In 2006 was a highlight in his life when he was able to travel in the countries of Germany, Switzerland, Italy and Austria with his three uncles. In his spare time, Tom enjoys music, camping, traveling, reading and spending time with his wife Regan and with good friends.